Here at KnifeCenter Independence Day holds a special place in our hearts. Here’s to a wonderful Fourth of July celebrated with friends and family. We encourage all citizens to stand up for truth in all aspects of our government. Please stay safe this holiday as we look forward to celebrating many more holidays with our awesome customers! 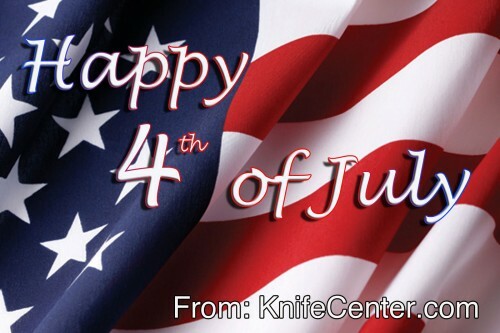 Happy 4th of July from the Knifecenter!